While there is something to be said for visiting new restaurants or trying out a variety of menu options, sometimes you just can't beat the classics when you know that they're going to be good. After all, if a restaurant is known for "Everything you love about breakfast," then that's already a pretty good indication that any innovation that they debut is going to be extremely tasty, right? 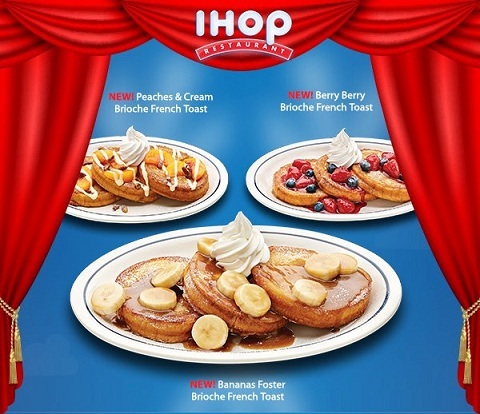 Which is why I couldn't wait to visit IHOP and try their latest Brioche French Toast creations: Bananas Foster Brioche French Toast, Berry Berry Brioche French Toast and Peaches & Cream Brioche French Toast. 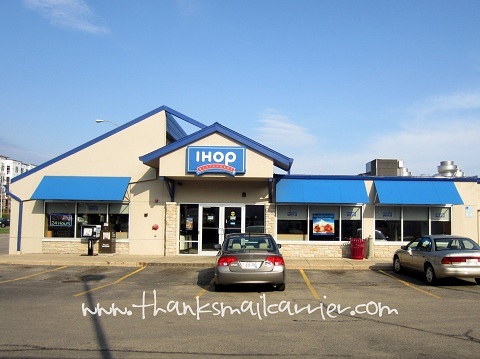 For 54 years, IHOP has served its world famous pancakes, 65 different signature, made-to-order breakfast options and a wide variety lunch and dinner items that are loved by people of all ages. 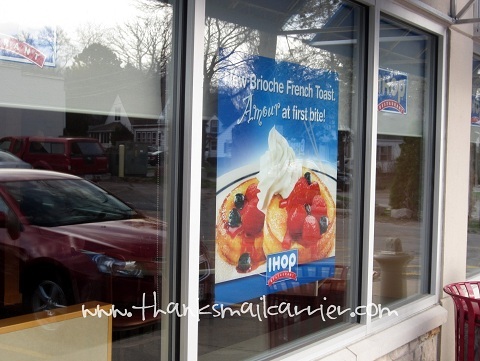 As we have always found that IHOP does indeed offer its guests an affordable, everyday dining experience with warm and friendly service, we were excited to get to head over for a visit to experience their new Brioche French Toast. ...and found that our mouths were watering for the tasty new french toast options even before we were in the door. Once we stepped inside, all four of us were oohing and aahing over even more photos showing all three of the delicious varieties. Who can pass these up? These thick-cut slices of rich round brioche bread are soaked in a lightly-sweetened vanilla batter and grilled to a delicate warm golden crispiness that is perfectly ready to layer with any of the three flavorful toppings. Bananas Foster Brioche French Toast comes with a New Orleans Foster’s sauce made with sliced bananas, caramelized in a buttery brown sugar glaze, and whipped topping. Um, yes, please to all three! IHOP has made it easy for everyone to enjoy the new Brioche French Toast, as it can be ordered on its own, as a delicious indulgent treat, or as part of an IHOP Combo, with two eggs, optional choice of crispy bacon, pork sausage links or a grilled ham slice and golden hash browns. While decision-making isn't exactly my forte, life was made easier when Big Sister E decided that she wanted to order the Bananas Foster Brioche French Toast as her meal. Well, heck! In that case, I decided to have eggs, hash browns and the Berry Berry Brioche French Toast so that we could all try them both (unfortunately I couldn't talk Little Sister B into the Peaches & Cream Brioche French Toast to complete the trifecta). I think most people would agree that French toast is traditionally a tasty meal, but wow. IHOP's new Brioche French Toast really takes the flavor to the next level. The bread itself has just the right amount of sweetness and, combined with the bananas foster or strawberries and blueberries just makes each mouthful a real treat. It took quite a bit of convincing for Big Sister E to share even a bite or two, while, at the same time, Little Sister B took it upon herself to dig right into my plate of Berry Berry! If you're looking for a fruity, delicious twist on breakfast, head over to IHOP to try out their new Brioche French Toast varieties today — they really are tasty for any meal of the day and have the ability to send the whole family home with big smiles and full bellies! 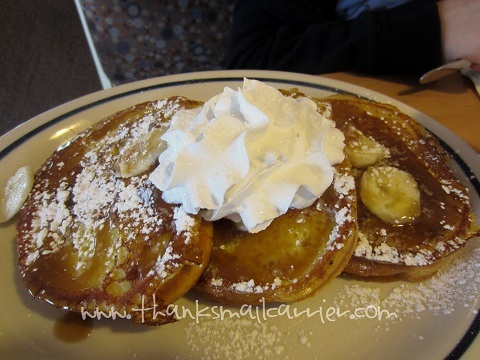 For more information on these (and all of IHOP's yummy meals) or to find an IHOP restaurant near you, visit IHOP.com and be sure to connect with them on Facebook and Twitter. I was provided with an IHOP gift card in order to facilitate my review, however, all thoughts and opinions expressed are honest and my own. Talk about licking the plate clean! Clearly delicious! well she looks like she enjoyed it!!! looks yummy! If the kids look pleased it must of been good! Lol. I'm going to have to take my little one in to try them! Wow...that looks great. 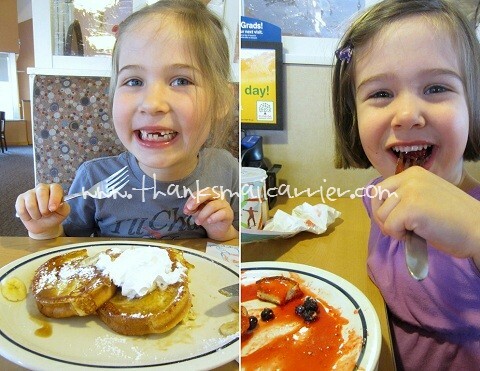 I've not been to IHOP in many years...we don't have one near us...only on vacation can we go. I have never ever been to an IHOP. We've never lived near one and never stop at them when on vacations. Those are making me drool though, YUM! I haven't been to IHOP in so long. This post made me so hungry lol. I want to try the peaches & cream. Yum. thanks for the review. 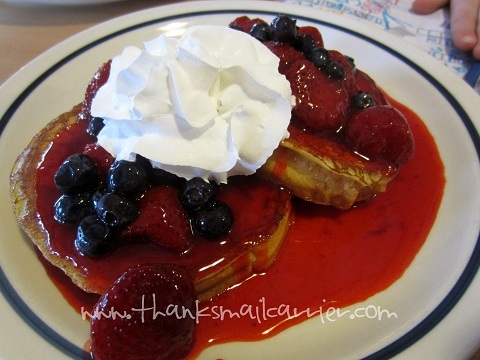 I haven't been to I Hop before, but the food looks delicious;thanks for review. Ooooh...I have been wanting to try these, especially the Bananas Foster. I have an IHOP about 2 miles from my house. Now I have to go try them before they are gone. 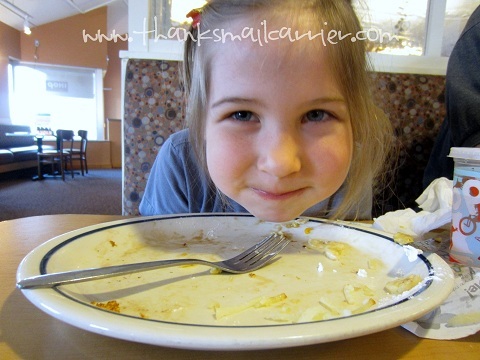 i haven't been to an IHOP in years! but that banana foster looks worth a trip! wow ~ those look delicious ~ almost dessert"ish"! I don't think the girls like it one bit! 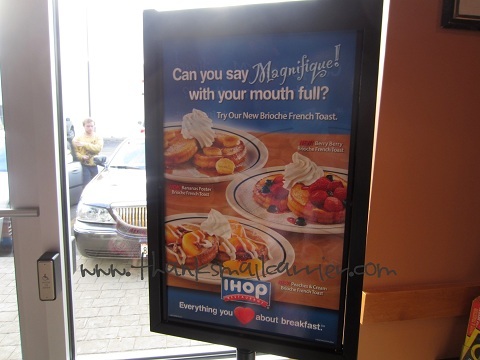 :) I need to go I haven't been to an iHop in years! Wow! That looks so good! !